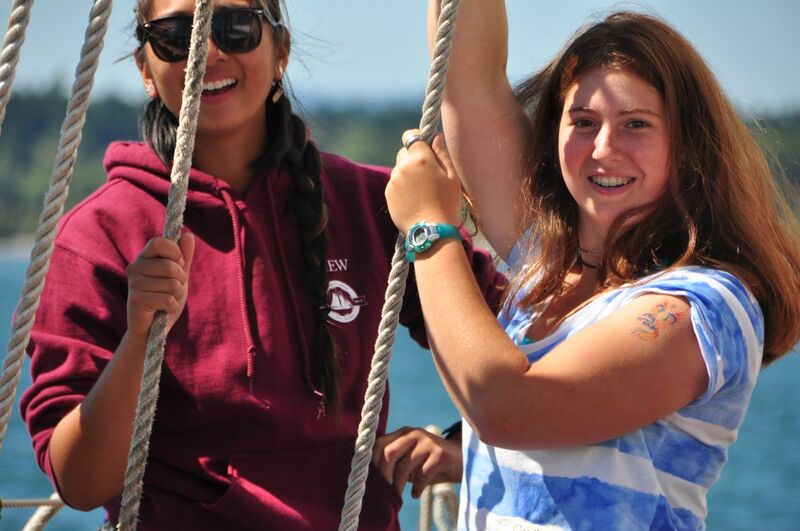 Part of the mission of Sound Experience is to serve an inclusive community—we hope that people of all ages and from all walks of life will have the chance to sail aboard Adventuress and experience Puget Sound from the deck of a tall ship. Though all of our programs are subsidized, we also provide some partial youth scholarships on a limited basis. Scholarship recipients are chosen based on financial need, as well as the applicant's interest and enthusiasm for our educational programs and mission. Eligible programs for a Sound Experience youth scholarship are Girls at the Helm and Fantastic Voyage. You can read more about these programs by clicking here. Application received by March 31st will be given priority. If the deadline has passed, you are still welcome to contact us to see if available funding remains. We will review scholarship applications and notify recipients in May. Sound Experience is grateful to the many individual and business donors who support our scholarship program. If you'd like to donate to our scholarship fund—which provides funding both for schools and individuals—you can go to our Make a Donation page and let us know how you would like us to direct your gift.